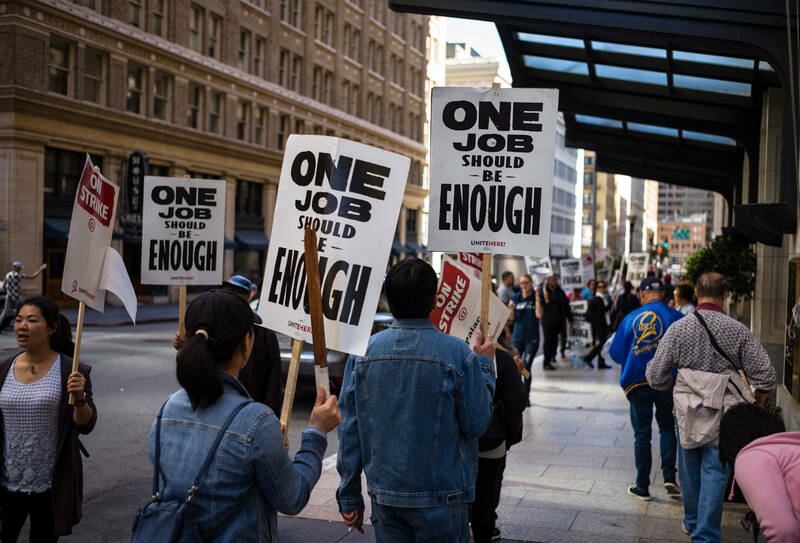 The strike by thousands of workers at seven Marriott hotels in San Francisco — a work action tied to walkouts against the company throughout the Bay Area and the rest of the country — is not expected to end any time soon, according to a top union official. "A week into our strike, this fight remains far from resolution," said Anand Singh, president of United Here Local 2. The San Francisco strike, involving some 2,300 housekeepers, kitchen workers, bartenders, bellmen and others began Thursday, Oct. 4. Marriott workers represented by Unite Here in San Jose, Oakland and several other cities across the nation have also walked off the job. "Months of bargaining with Marriott got us nowhere on key issues including a livable income and affordable health care, safe workloads and job security," Singh said in an email. "We're ready to strike until hotel workers no longer have to work two or three jobs just to make ends meet," Singh said. A union organizer says the two sides plan to meet in the coming days for the first time since the San Francisco strike began. Marriott has consistently said that it's disappointed in the union strike, that its hotels are open during the walkout and that it will keep providing "excellent service" to guests. But a Marriott spokesman has yet to respond to questions about the hotel chain's concerns that the strike in the heart of San Francisco's tourism economy could last a long time. "The pressure is rising on the company," said UC Berkeley professor Harley Shaiken, who specializes in labor issues and has been following the dispute. "There's always the possibility that a strike like this could go on much longer than expected," Shaiken said. 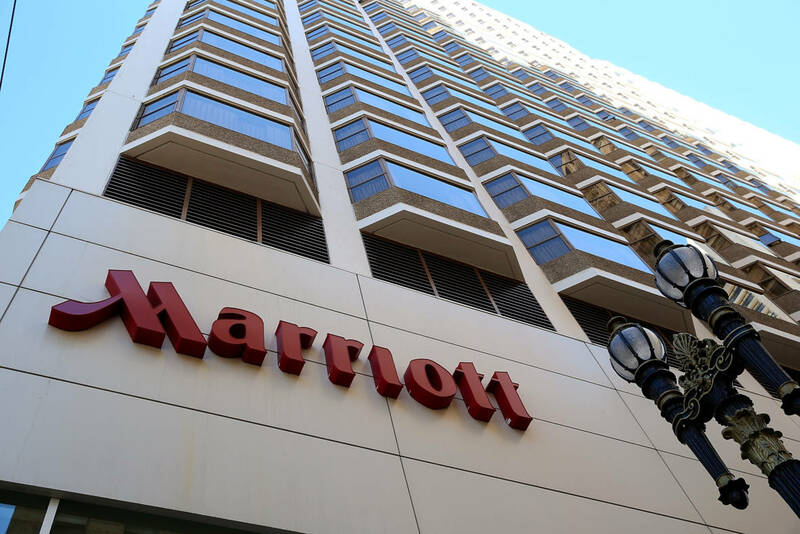 The San Francisco workers have been without a contract since Aug. 15, when the union's five-year agreement with Marriott ended. During the last contract, the median income for Marriott hotel workers in the city was $44,000, according to union officials. Unite Here Local 2 and Marriott have declined to provide specifics on their contract proposals. The union says it's asking for a livable income. "Our wages haven't kept pace with the cost of living or with Marriott's profits," Singh said. "We're asking for a big step up because that's what hotel workers need." Unite Here says it's also pushing for "relief from unsafe workloads" and no changes to its workers health care plans, among other things. The San Francisco strike involves workers at the Courtyard by Marriott Downtown, the Marriott Marquis, the Marriott Union Square, the Palace Hotel, the St. Regis, the W and the Westin St. Francis.